One of the most common ways a homeowner can add some fun to a room is to use an area rug. They are a great addition to any home that you want to protect the flooring that is under the rug. 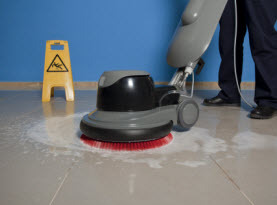 This can be hardwood floors, tile floors, stone floors or even carpet. It is also a great way to add color to a room that without having to make any drastic changes. You can switch out the rugs and purchase different options in terms of shape and size. When you want to have your home looking extra clean having your carpets cleaned professionally is the way to go. 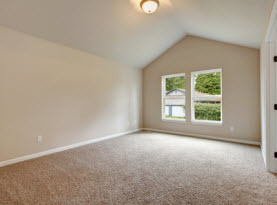 Carpet cleaning is a great way to not only have a nice clean home but also to extend the life of your carpets as well. The problem is that many people choose to clean their carpets but they will skip having the rugs cleaned. This is a mistake because there are several reasons that you should have your rugs cleaned too. Rugs Trap Dirt: When you use a rug it will act as a part of décor but also as a line of defense against dirt that otherwise would end up on your carpets or floors. That is why you need to have the rugs cleaned. They are full of dirt that has been brought in the house through several avenues. One is on the bottom of your shoes and on your clothes from being outside. The other way is if you have a pet that goes outdoors they can bring the dirt in with them. The dirt needs to be removed from the rugs by running the vacuum but the deeper set in dirt needs to be cleaned by a professional. Allergens Stuck in Rug Fibers: If you are someone that struggles with allergies or asthma then you want to make sure that your rugs are cleaned. The allergens that can act as a trigger for allergic reactions can be stuck in the fibers of the rugs. Some of the allergens that you might have on your rugs are dust mites, skin cells, dander and much more. You want to make sure that your rugs are cleaned so that these allergens are removed and you can breath easy. 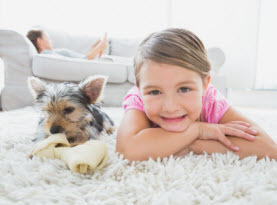 Area Rugs Get Stains: It seems that it is inevitable that someone will drop a drink or other liquid on the carpet that will start to cause a stain. The stain is something that you know needs to be treated and removed if you don’t want it to become permanent. The same goes for your rugs. They tend to get just as many stains and they can ruin your rug. That is why it is important to have your rugs cleaned professionally to get the stains out of your rugs. CA Carpet Cleaning & Water Damage Clean Up offers rug cleaning services to have your rugs looking their best. Call us today to schedule your cleaning services today. 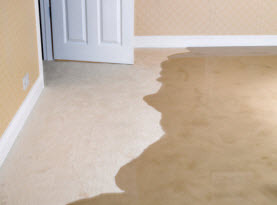 Bad Carpet Cleaning Advice to Avoid in Newport Beach, CA; Too Much Vacuuming?